One of the coolest things about yard sales and flea markets is finding things that connect you to your past. You will come across so many things that spark memories of childhood. This week I went to Brimfield (video will be posted shortly). I found this On Strike board, and immediately I think of how I have a picture of me holding one back in the eighties! The one on the left is me, on the right is my daughter. 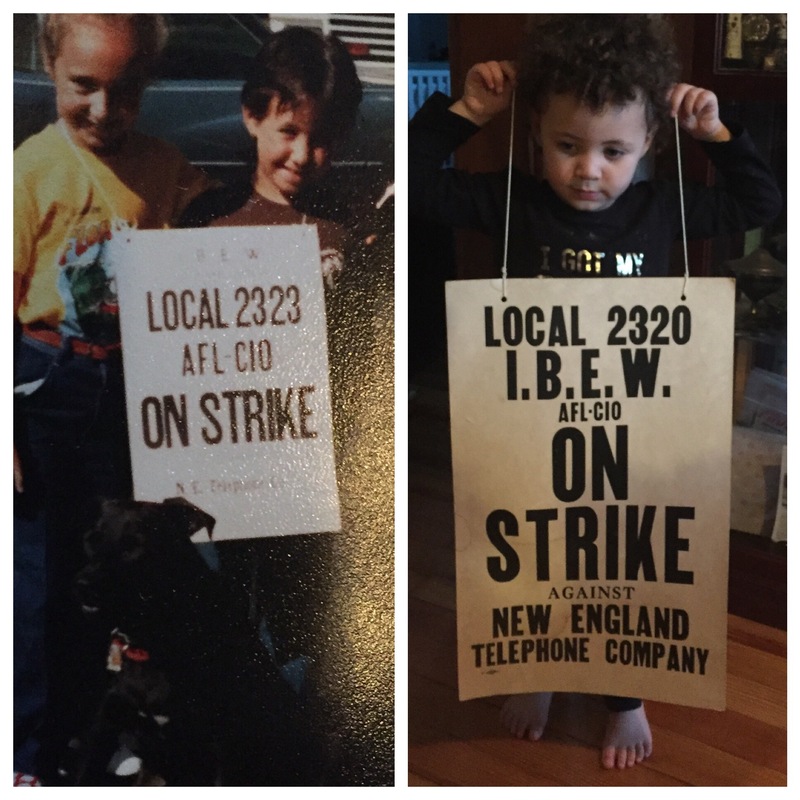 The sign is a little bit different, my father worked for Local 2323, I believe that was the Rhode Island division and 2320 is Central Mass. ← You got that where?? ?